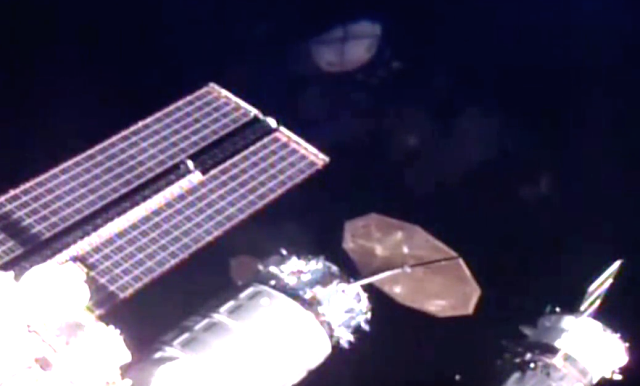 UFO SIGHTINGS DAILY: UFO Comes Close To The Space Station On Live Internet Cam! Jan 1, 2016, Video, UFO Sighting News. UFO Comes Close To The Space Station On Live Internet Cam! Jan 1, 2016, Video, UFO Sighting News. 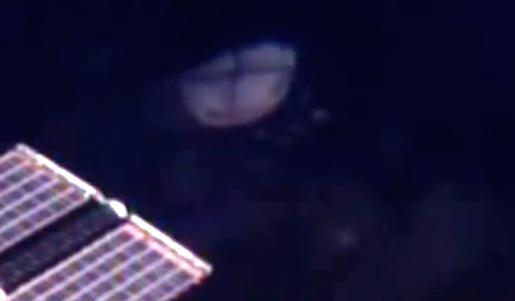 Here is a UFO found by Streetcap1 of Youtube when watching the live Internet ISS cam. Its a great close up of a UFO. This is one hell of a way to start out the new year with a big bang! Nice one Streetcap1. I can tell from its coloration matching that of the space station that this is a solid object, not a flare. Unless parts of the space station are floating off by accident, then this is a confirmed UFO from a government live web cam. 100% proof that aliens exist, and disclosure will come from We The People, not the government. Not quite sure what this is as it seems quite static. If it's flare then it has an interesting shape. First time I've seen an object quite like this near the space station. Streetcap1.